It seems I’ve taken an unintentional sabbatical from blogging for the month of December. Between finals and the holidays, I’ve been so busy that I’ve come up short on motivation to write. Now, on the eve of 2012, I’m finally compelled to write a comeback post. Nothing fancy here, just a recap on the holidays and a brief note on where my life (and subsequently this blog) are headed in the new year. Josh and I had a lovely Christmas weekend. In fact, after all of my moping about Christmas in this post, we went and had ourselves the merriest little Christmas ever. It was the best one I’ve had since childhood. In the days since, I’ve tried to decide what made this year’s holiday so much superior than others – there were no special travel plans or big family parties. The entire experience was just nice this year. Maybe it had something to do with the idyllic snow flurries that fell all day on December 25th. Or, perhaps my lack of expectations allowed me to relax and enjoy myself. Either way, here are photos from Christmas Eve, Christmas Day, and the day after. 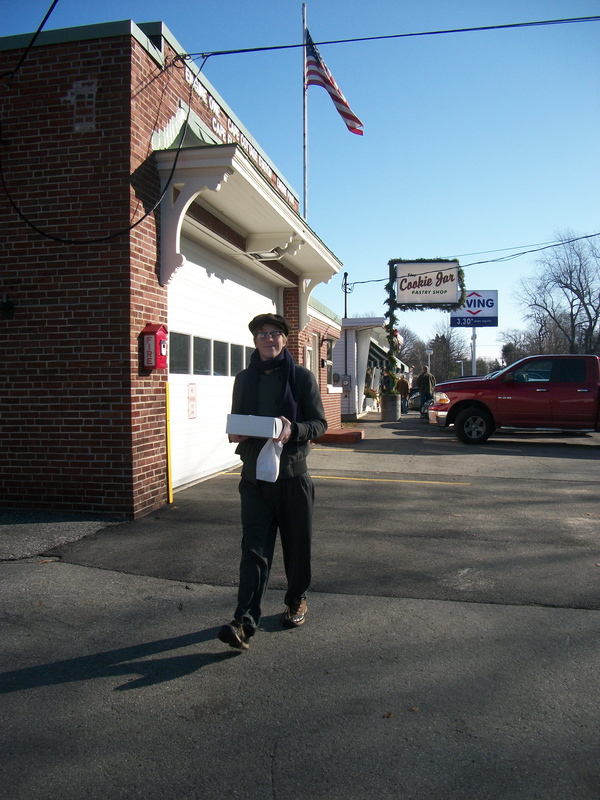 1) We made a stop at the Cookie Jar on Christmas Eve for yuletide snacks. 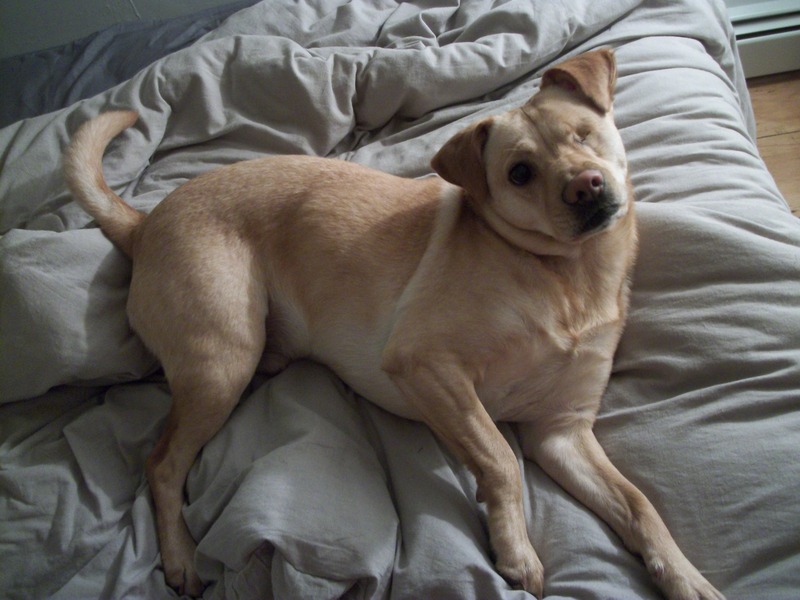 2) Teddy, who naughtily terrorized the cat and frequently tore open our garbage all year, attempted to make it on to Santa’s nice list at the last minute with this painfully cute pose. 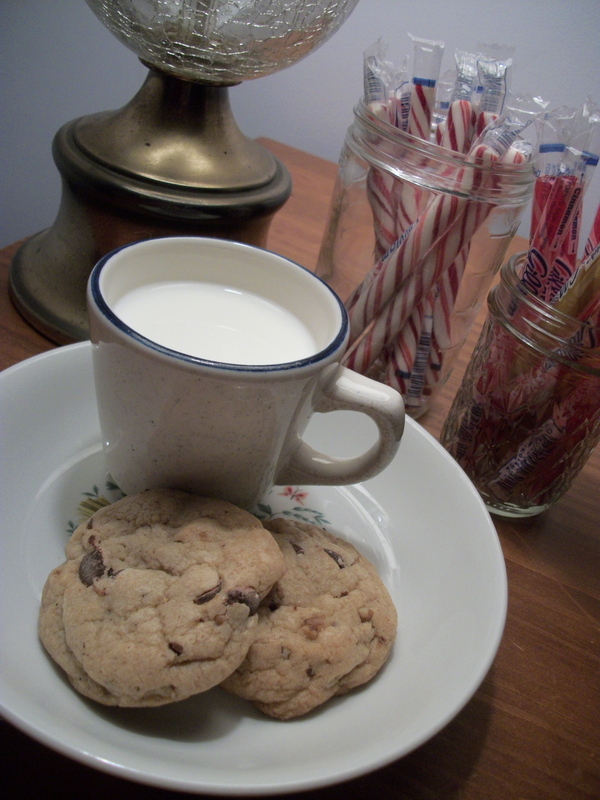 3) Cookies for Santa and candy canes for his reindeer because I was out of carrots. 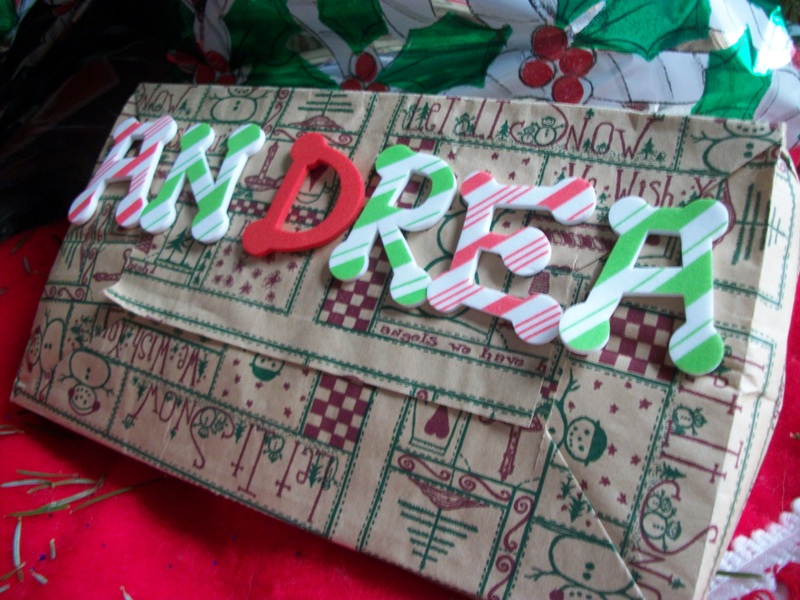 4) Festive wrapping! 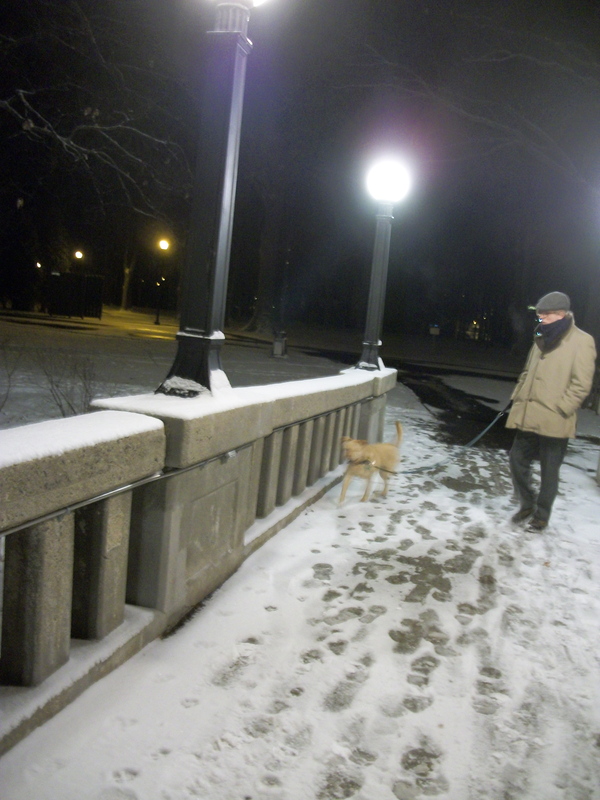 5) Our snowy walk through the park on Christmas. 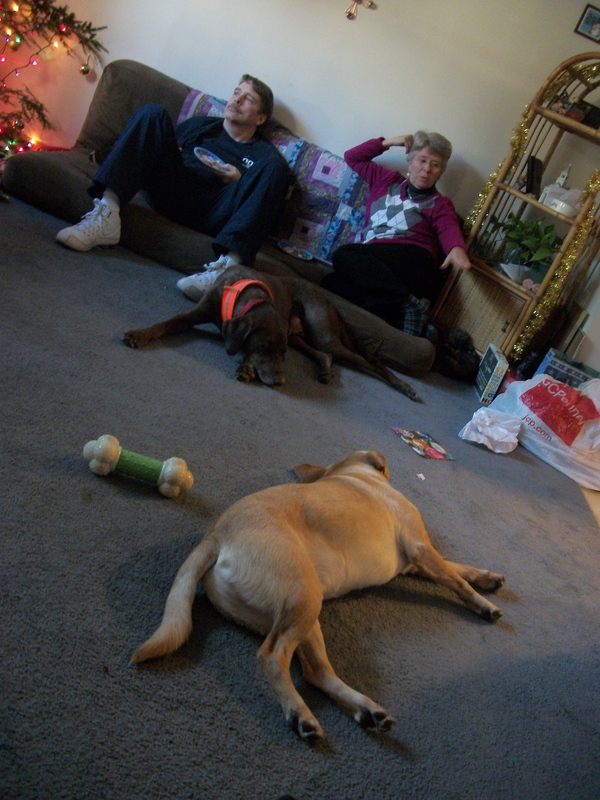 6) Post-meal Christmas lounging. 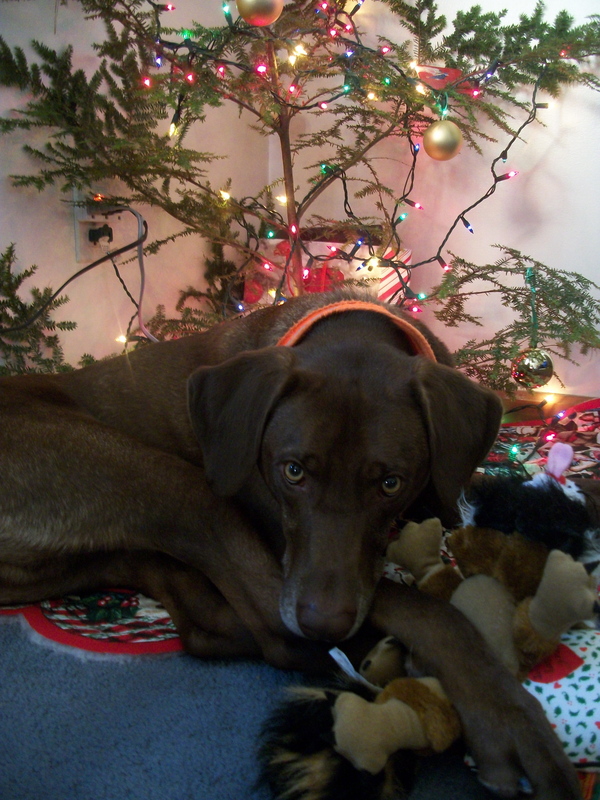 7) Lindt (owned by Josh’s sister, Gabrielle) with his Christmas present. Whatever the reasons, Christmas left me feeling revived and upbeat. I’m excited to embark on a new year with the love of my life and our dog. I just feel good! I hope I can maintain this sunny outlook. In the new year I’ll resume writing consistently in this blog. I enjoy having a platform to share my experiences with others, but also being able to reflect on my life. Keeping track of my activities makes me feel more accountable for how I spent my time, which ultimately results in my engaging in more fulfilling activities (crafting, reading, spending time with friends) as opposed to less meaningful time-fillers (television, facebooking, shopping). I hope that y’all enjoy reading about my adventures, and I’m sure glad you’re here.